Il Ponte Casa d’Aste is pleased to present the spring auction of Modern and Contemporary Art. Unmissable appointment, the auction will offer a rich and diverse selection of Italian and international artists, such as Lucio Fontana, Fausto Melotti, Enrico Castellani, Alighiero Boetti, Gastone Novelli, Carol Rama, Vincenzo Agnetti, Mimmo Rotella, Gianfranco Baruchello, Agostino Bonalumi, Emilio Scanavino, Osvaldo Licini, Enrico Prampolini, Valerio Adami. Among the most important foreign authors, we mention François Morellet, Roberto Matta, Joan Miró, Christo, Serge Poliakoff, Hans Hartung, Victor Brauner, Max Ernst, Tom Wesselman, Ed Ruscha, Victor Vasarely. The section dedicated to early 20th-century Italian painting will be the heart of the auction, and will boast masterpieces of the greatest exponents. Among the highlights, we highlight “Notturno n.2”, very rare work by Osvaldo Licini of 1932, exhibited at the artist’s first exhibition in 1935 at the Galleria Il Milione; “Still life with a mannequin”, by Fausto Pirandello inspired by metaphysics, and “Eva”, an important work by Achille Funi created in 1919, pleated and published. To represent Futurist painting is instead the unpublished masterpiece of Enrico Prampolini “Sensazione cromatica di giardino” of 1914, by the same artist a large canvas of 1930 exhibited at the XVII International Biennial of Art in Venice. And yet 2 works on paper by Balla, a 1915 canvas by Baldessarri. Among the masterpieces of Italian informal painting, the beautiful “Green Earth” by Renato Birolli, work of the Cinque Terre series performed in 1957. 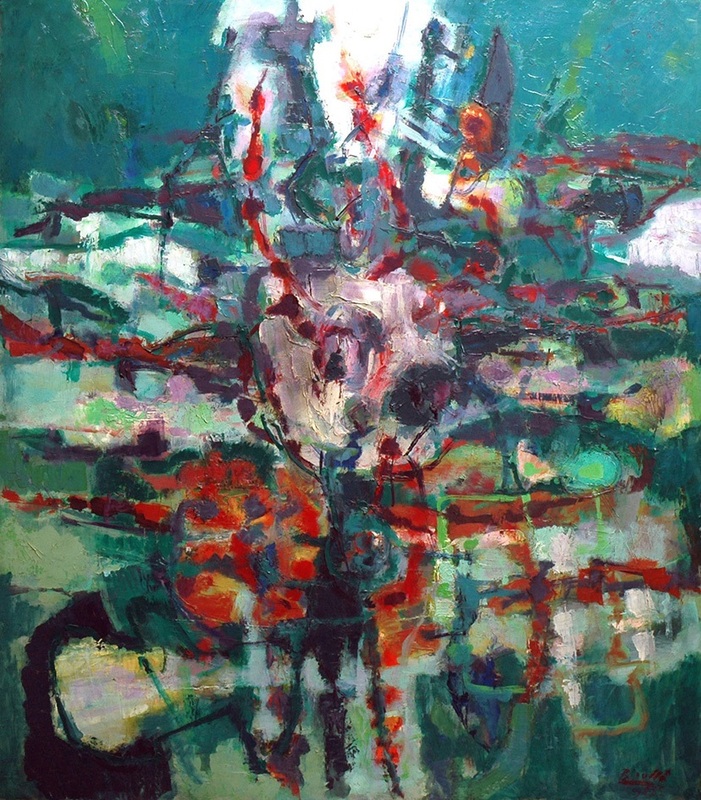 Also stands out on all, “The Triumph of Death” by Emilio Scanavino, oil on canvas cm 200×300 executed in 1961, disruptive, exciting and museum work. Di Gastone Novelli two canvases, one of which is large and pluralized in private and museum exhibitions. The core of the Gruppo Forma 1 works, which comes from an important Roman collection, includes historical works by Giulio Turcato, Carla Accardi and Antonio Sanfilippo. As with every appointment, sculpture is a very extensive presence in the catalog. Among the many masterpieces, we mention “Spirale”, a brass by Fausto Melotti 192 cm tall, and a polychrome ceramic “Crucifix” by Lucio Fontana, an iron by Ettore Colla and a large plaster by Mitoraj. Peculiarities of the spring catalog will also be the presence of female artists who worked in Italy in the late twentieth century, such as Carol Rama, Bice Lazzari, Irma Blank. Finally, it is impossible not to mention the precious sheet of Lucio Fontana, a “Concetto Spaziale” of 1959 with holes, graffiti and enamel, two rare tapestries by Alighiero Boetti of 1979 and two historical canvases: Enrico Castellani “White surface – 2 – II – “of 1977 and Agostino Bonalumi” Rosso “of 1961.